I feel like I don't do a very good job of maintaining the look of the line art when I color faces. I tend to exaggerate the position of the mouth, so it makes shading sort of awkward. 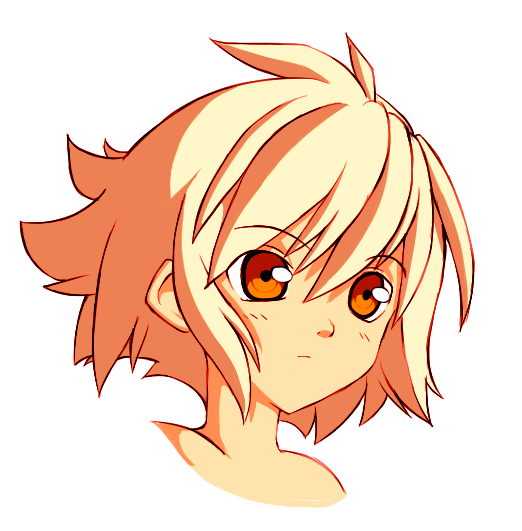 I might experiment some more with this sort of colouring style, though. Actually, that looks a lot more feminine than your other sketches. That said, still no ahegao. Yeah, my first thought when I saw these was that they were unquestionably feminine. 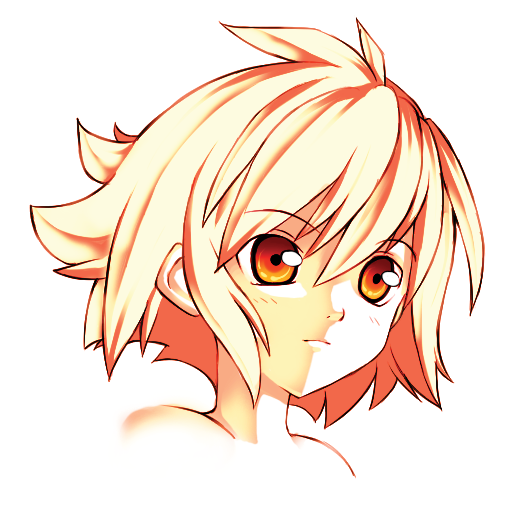 Kinda reminds me of Rita Vrataski with perkier hair. Which isn't bad at all. I wish I could draw even half as good as you. I really like the upper right picture! Makes her seem very mysterious, almost like shes looking at a magical something or other. The reason the style in the top right is so bright, is that for certain colors you just leave it the color of the background. It's a style common with markers, which was the kind of look I'm trying to go for. The difficulty I have is that for extreme shading where shadows cover half or more of the face, I have to define contours, which tends to make the character look different. Whereas with simple shading (the bottom one), it's pretty simple. As for darker skin colors, aesthetically, I don't really like dark skin with bright hair colors. My favorite combination is darker skin, black hair, and yellow eyes. Always looks cool. I think the problem with the marker style coloring is that it gives the illusion of a very metallic or oiled surface. Skin and hair in many cases has a more plain color and that's why the high contrast looks somewhat odd. I myself am a fan of cel-shading but having the ability to take a picture with more contrasts and gradients is usually a plus, although it's much harder to pull off right. I don't really think that the high contrast looks odd on the skin. It looks odd on the hair because I haven't really shaded it well in a way that fits with the style. Also the shading on the hair suggests a powerful light source coming from the left which doesn't agree with the shading on the head. Hmm, I don't know if the top right really has any defined light source, it seems a bit all over the place. 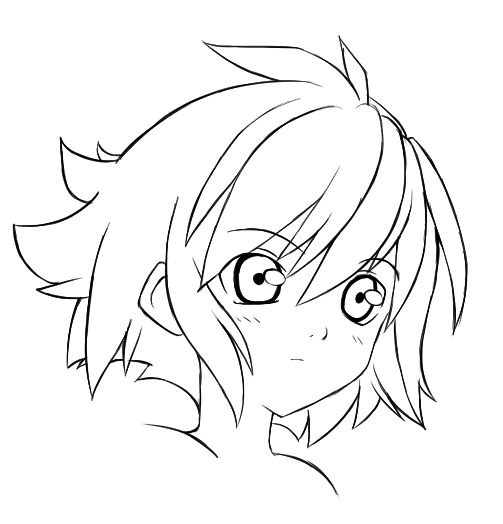 It looks more like extension of lineart. Well, the sketch looks pretty well. A few sketches more and your lineart will be perfect. i like both cell shading and soft shading... so cant choose which i like better. The shading on nose and mouth on the top right one looks great. Oh god your drawn are soooooo beautiful! I particuliary like the up-right one. I really like the style and how you draw. I also like both type of shading. I like the top right the most, mainly due to the feeling of shadowing it has. A combination of that and the bottom would be idea.